110: What does "Medicare for all" actually look like? 106: How do drug epidemics end? 104: A year after Cambridge Analytica, what have we learned? 101: What's the deal with the Green New Deal? 98: Can we shut down the shutdowns? 91: How do you get out of your echo chamber? 88: Should you trust polling? 87: Why is the price of college such a mystery? 74: What do we do about Elon Musk? 72: Are we an eponymous lifestyle brand yet? 70: Can VR make us more empathetic? 69: Why does "zero tolerance" look like this? 60: "The great lie at the heart of the criminal justice system"
58: So ... you wanna talk about Facebook? 57: Can big data really bring the world closer together? 56: "The best cure for hatred and ignorance"
44: Where are all the "lost Einsteins?" 41: Do you hear the people sing? 37: Is it time to take capitalism into the shop for a look under the hood? 31: What's a CEO's statement worth to this White House? 11: Why do our taxes have to be so complicated? Mini Ep 3: Unlock the vault! 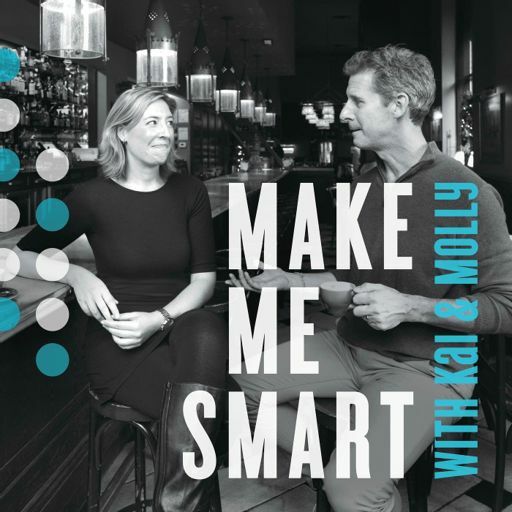 Introducing "Make Me Smart with Kai and Molly"